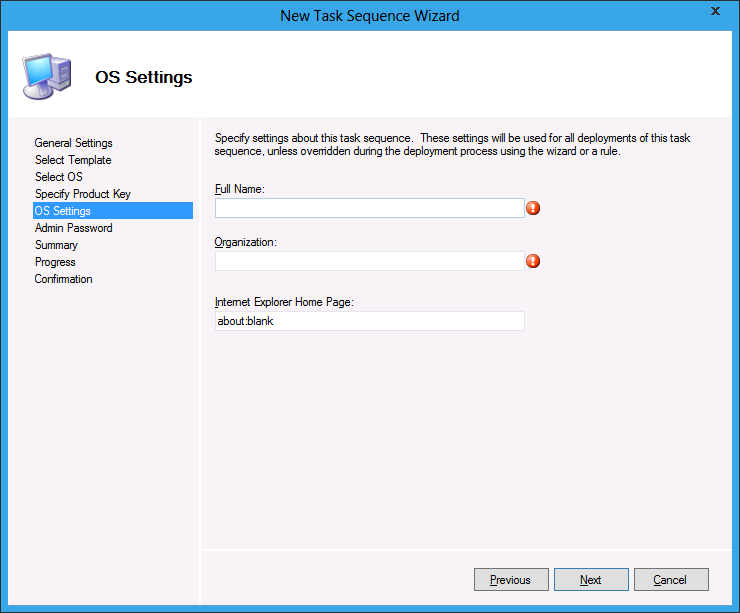 Creating a New Task Sequence in Microsoft Deployment Toolkit 2012 Beta – In the Deployment Workbench, browse the left pane, right-click Task Sequences and select New Task Sequence. 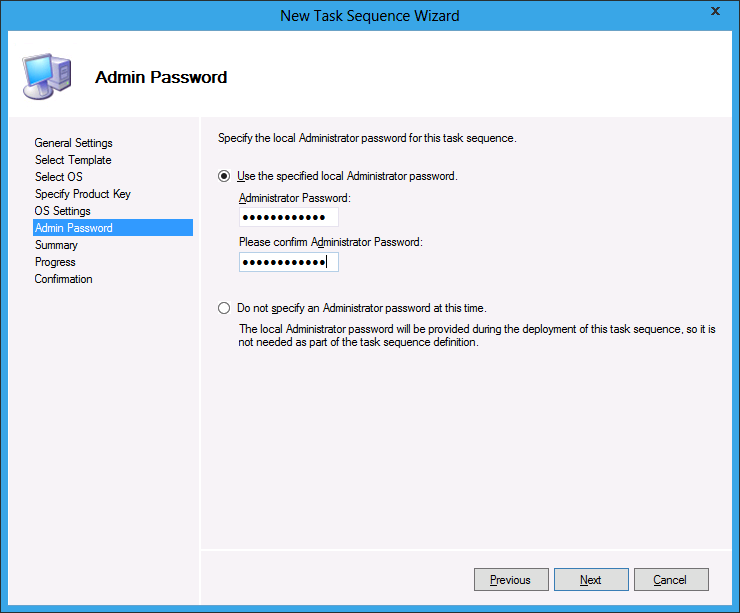 Task sequence ID – Enter a unique ID. 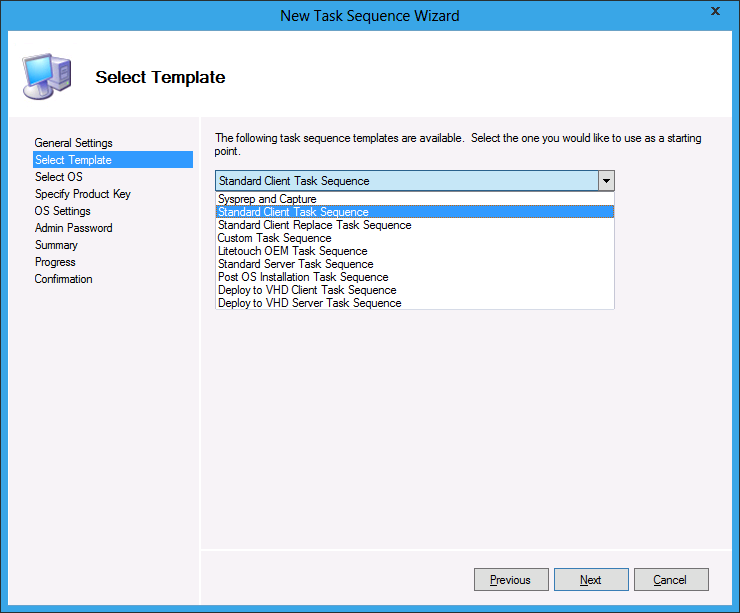 Task sequence name – Choose a descriptive name that will be displayed in the Task Sequence during the deployment. 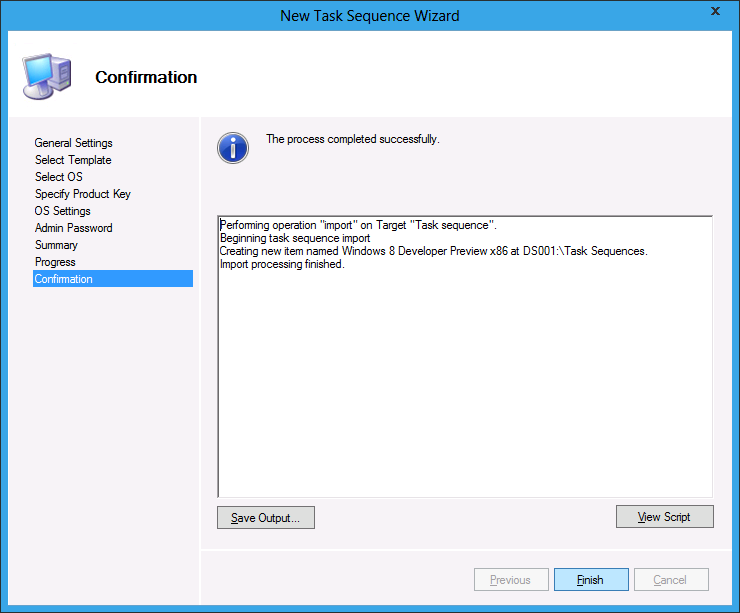 Task sequence comment – Type comments for this task sequence (optional). Once all the information are provided, click Next. 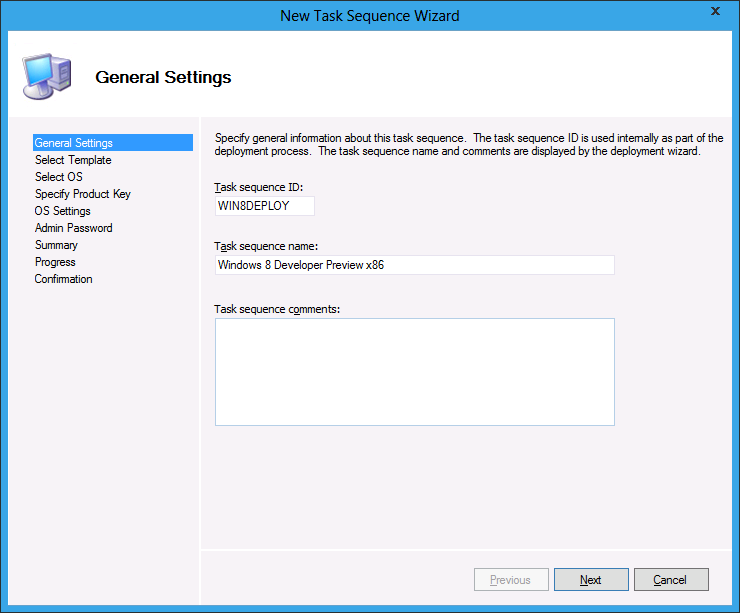 In the next screen, the wizard will ask to choose a Task Sequence Template. 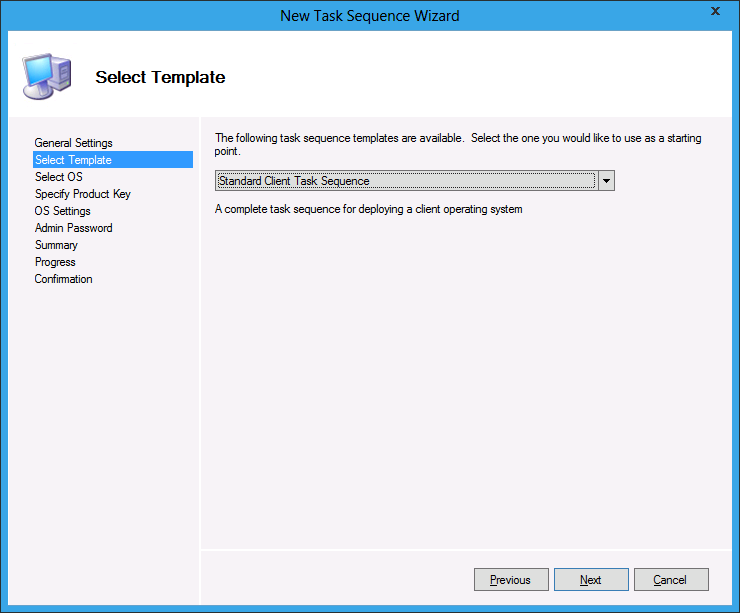 In this scenario, the Standard Client Task Sequence is selected. In the Select OS screen, browse through the Operating System folder and locate the WIM file under theWindows 8 x86 folder. 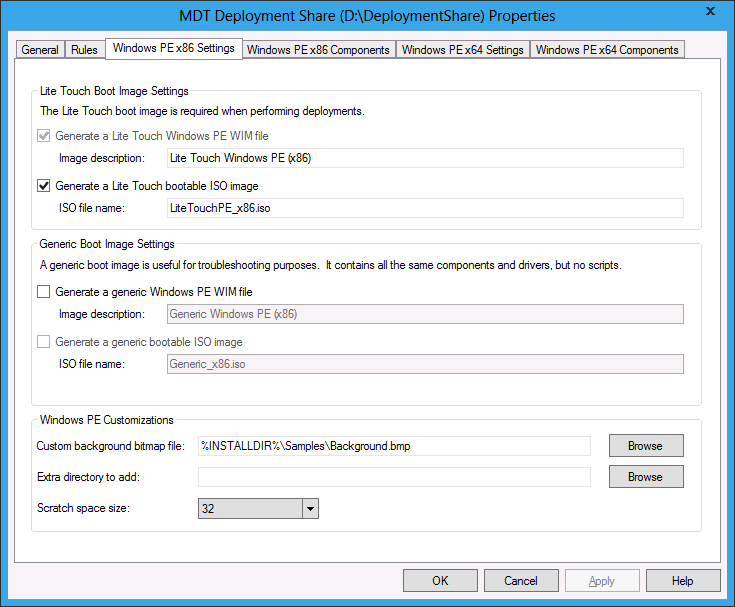 This is the imported OS from the previous post: Create Deployment Share & Import OS. 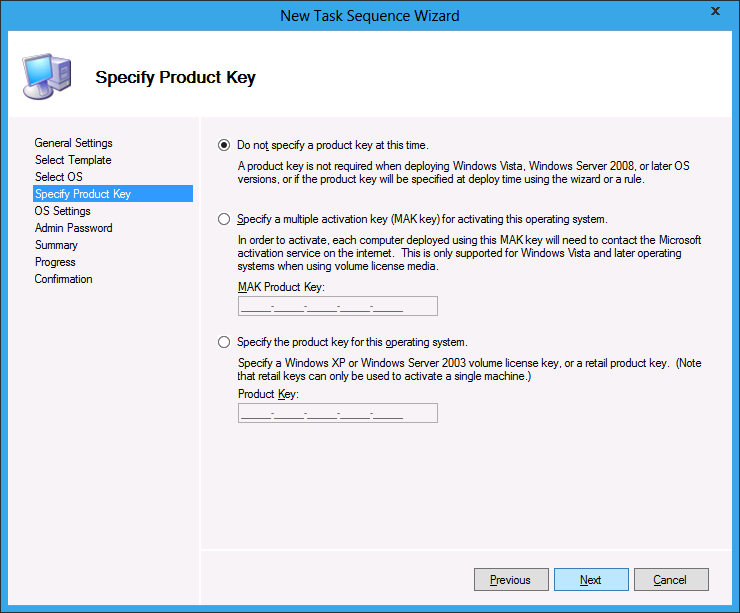 In the Specify Product Key screen, let’s leave the default selection for now (Do not specify a product key at this time) and click Next. Enter the information in the OS Settings screen, click Next. In the Admin Password screen, you may or may not provide a password for a Task Sequence. In the Summary screen, review if all the values are correct before proceeding, then click Next. Confirm that the process is successfully completed, click Finish to close the wizard. 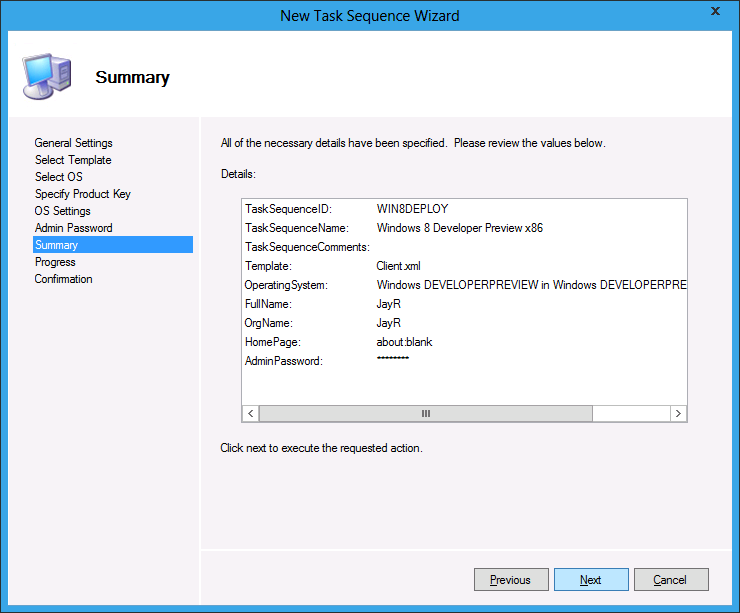 Back in the Deployment Workbench, the newly created Task Sequence will appear. You may open to view or customize the Task Sequence by selecting it and click Properties under the action pane. In the left pane of the Task Sequence tab, there are list of folders which contains the sequence steps which can be modified. For this example: the Enabled BitLocker under the State Restore Task had been disabled. 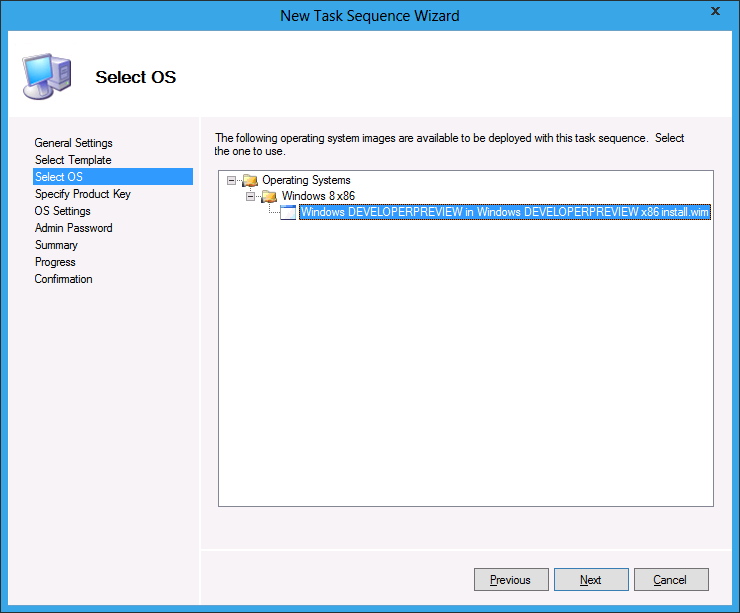 You can explore further in the capabilities of the Task Sequence, from joining the computer in a domain, injecting drivers and deploying applications just to name a few. 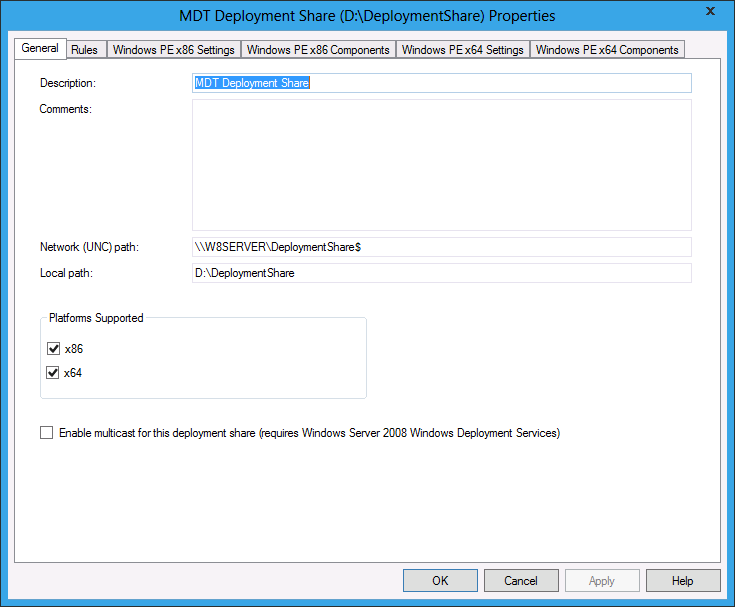 Deployment Share – Before creating a boot image, there are things needed to be defined in the deployment share, from choosing an architecture to support (x86 or x64 or both), enabling multicast for Windows Deployment Services, defining Rules for the deployment share and Windows PE settings and components. By default x86 and x64 are both ticked in the Platforms Supported section under General Settings. There’s also an option to Enable multicast if you’re deploying through WDS. The Windows PE x86 Settings tab will let you customize on how the boot image will be created, you may opt to create a bootable iso image if you’re going to using Window Deployment Services. You can also change the default back ground (Custom background bitmap file:) for Windows PE. 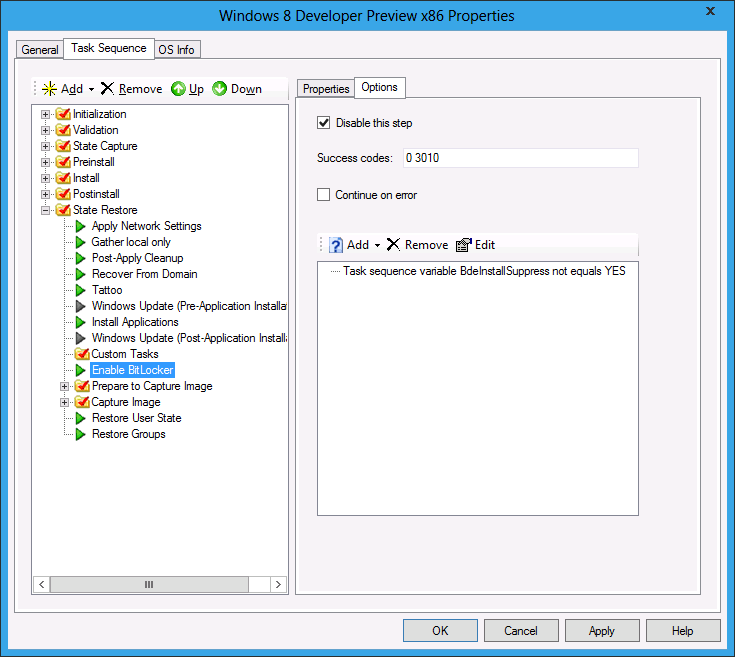 Note: The same settings can be customized for Windows PE X64 Settings tab. Include all network drivers… : selected by default. 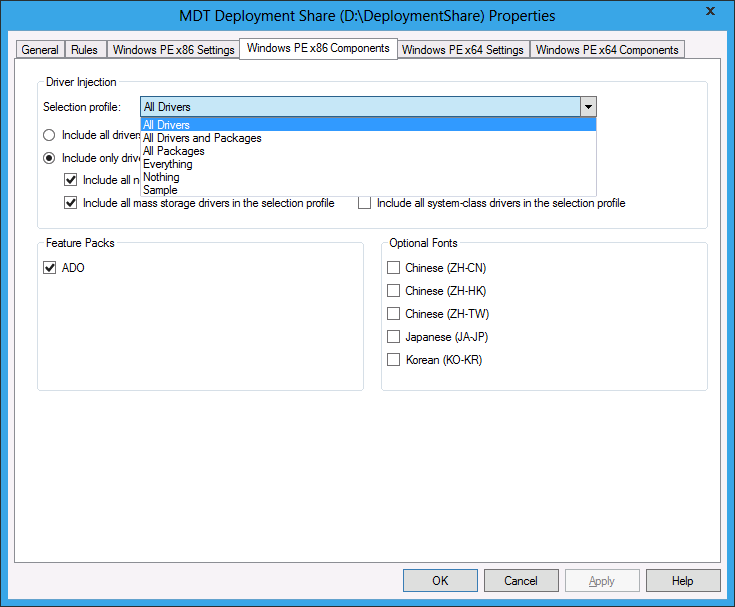 Include all mass storage drivers… : selected by default. Include all video drivers… : unchecked by default. Include all system-class drivers… : unchecked by default. Asian fonts can be installed under the Optional Fonts section. 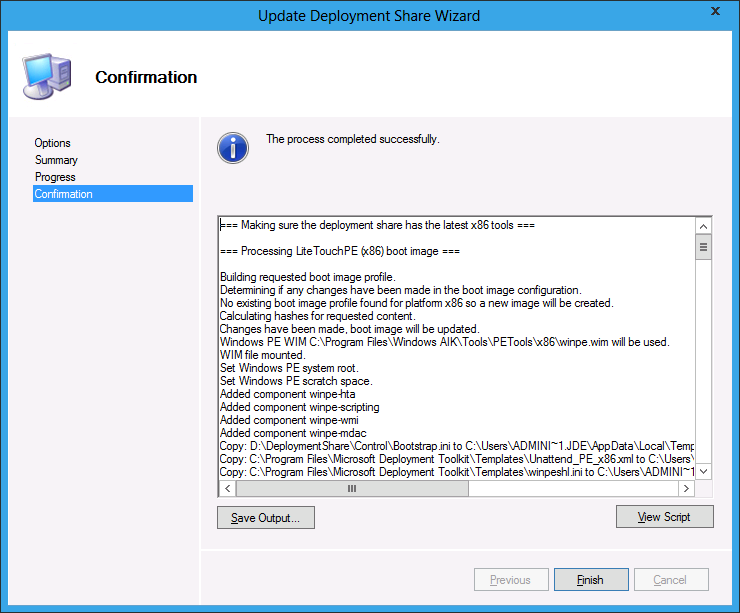 Update Deployment Share – After finalizing the properties of the deployment share, we need to run theUpdate Deployment Share Wizard to create the boot images that we will use to boot up machines. 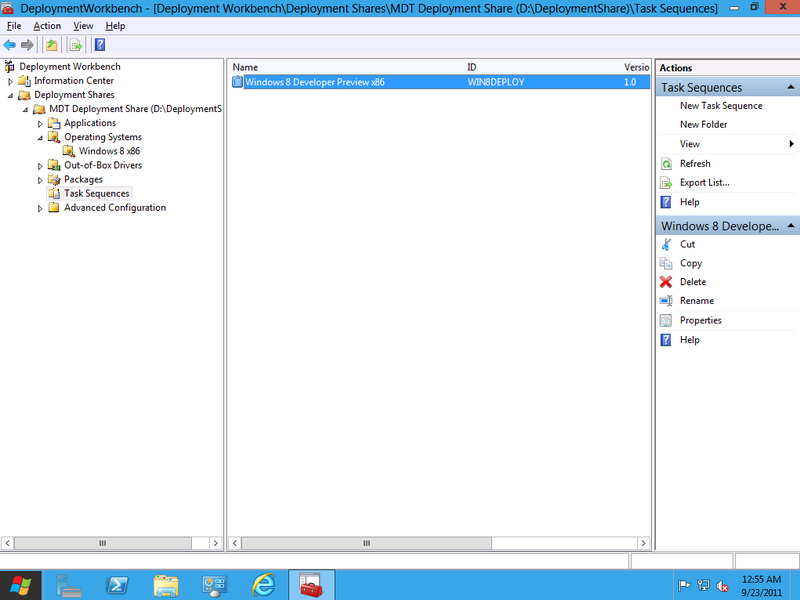 In the Deployment Workbench, select the share and click Update Deployment Share. The progress details is shows that a new boot image has been created. 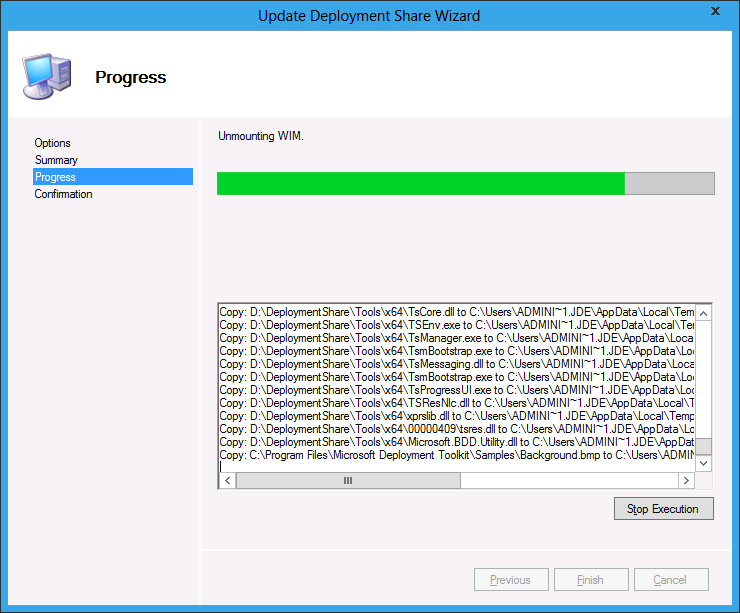 Updating the deployment share won’t take that long to complete. Once the updating is successfully completed, click Finish to to close the screen. 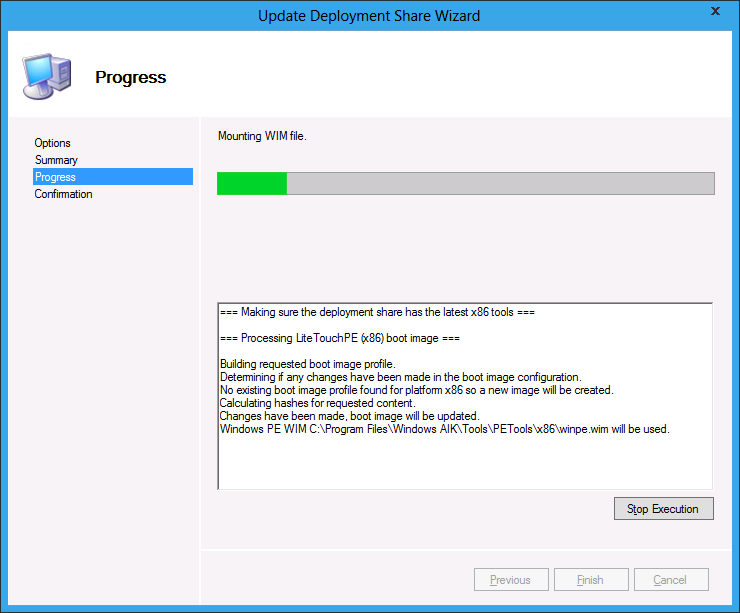 You are now ready to deploy Windows 8 with MDT 2012 Beta. Use the ISO files to burn it to a disc or for virtual machines and the WIM files to be loaded in a Server with Windows Deployment Services role. Thank you for any other informative blog. The place else may just I get that type of information written in such an ideal means? I’ve a undertaking that I’m simply now running on, and I’ve been at the look out for such info. if we burned ISO image created from MDT we don’t need DHCP AND AD right for booting from the client pc right ?